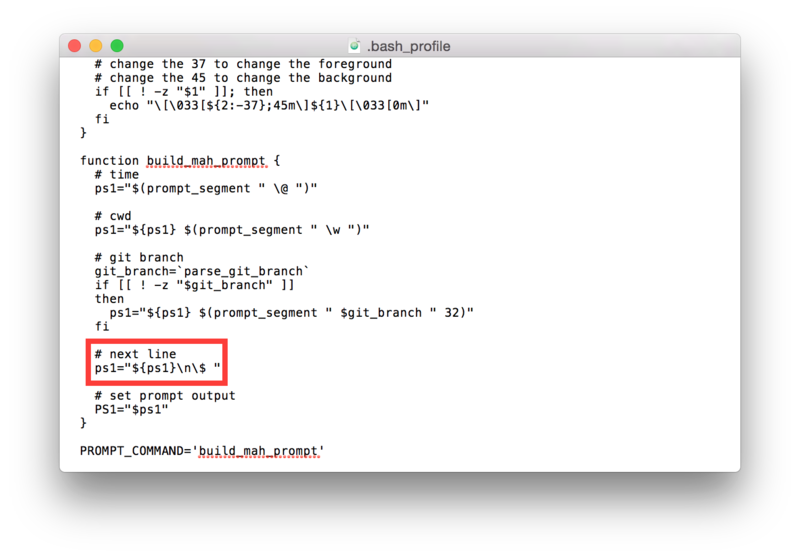 Hello and welcome to my tutorial on how to further customize your iTerm. 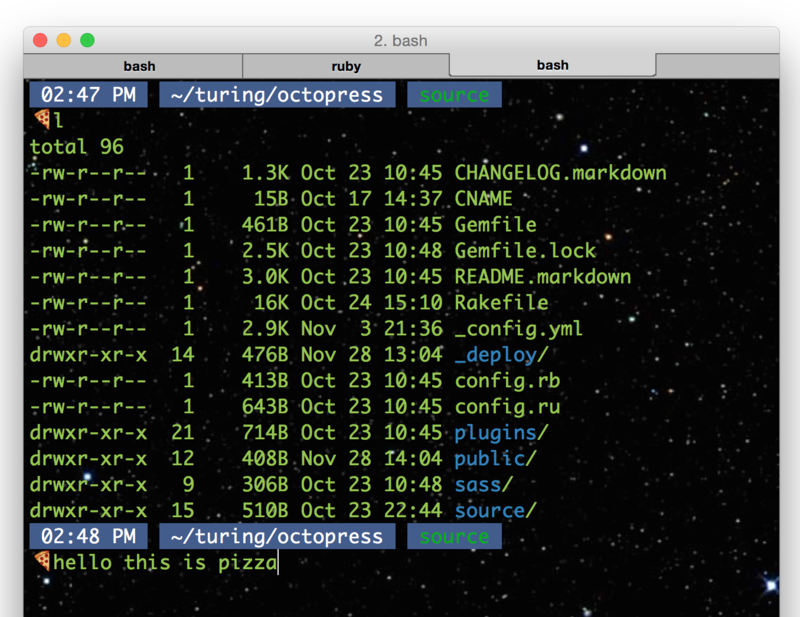 This tutorial follows my previous tutorial on how to customize the colors and background of iTerm to make it more visually pleasing. In this tutorial we are going to change our prompt to have an emoji instead of a dollar sign ($), which can be seen in the following screenshot. Let’s do that change thing! 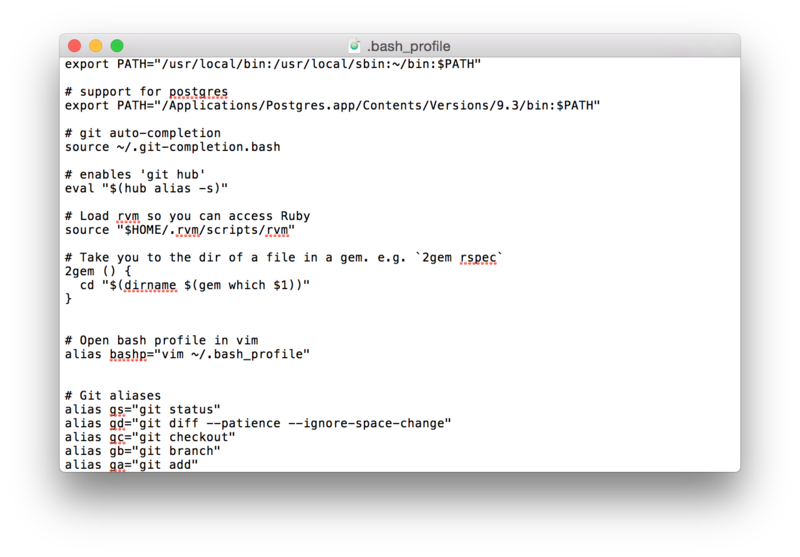 The first thing you’re going to want to do is open your bash profile. I’m also assuming you have one made already are, at least, mildly aware that it exists. 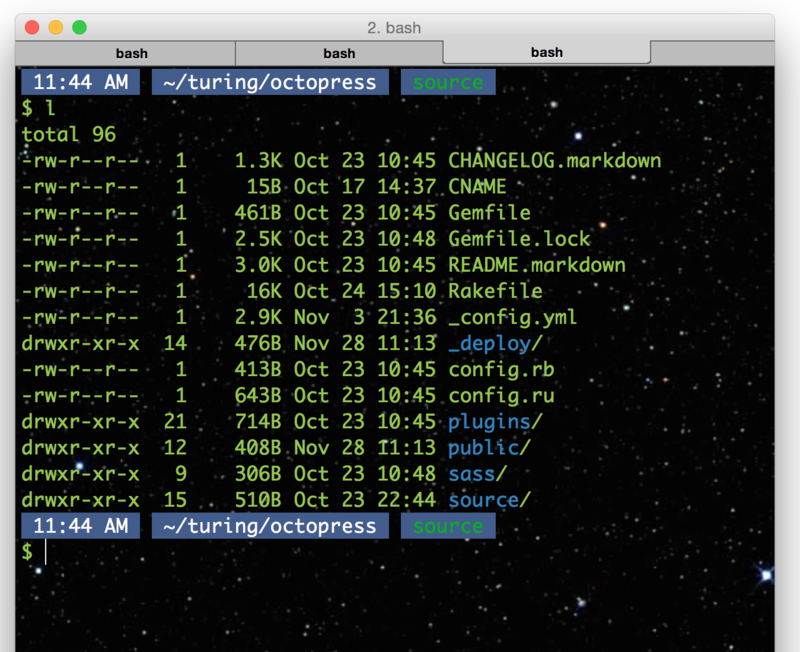 Open up iTerm and navigate to your root directory. If terminal hasn’t opened in your root directory the easiest way to get there is to type cd in and push enter. In this file you’re going to look for \$. For me it was at the bottom of the file. You can also find it doing a search with ⌘+F. Once you find it, highlight the leading escape \ and the $. Then open up the Apple special characters menu with ^ ⌘ Space or by finding it at the bottom of the edit menu. This will open up the built Apple menu with special characters and emoji. 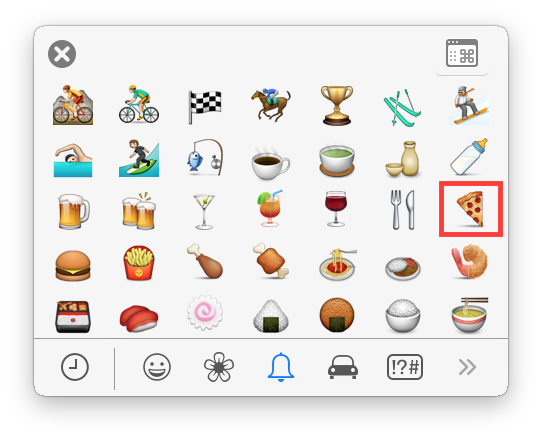 Here you can select any emoji you’d like, but, obviously, pizza is the best emoji and it’ll be the one I’ll be selecting. 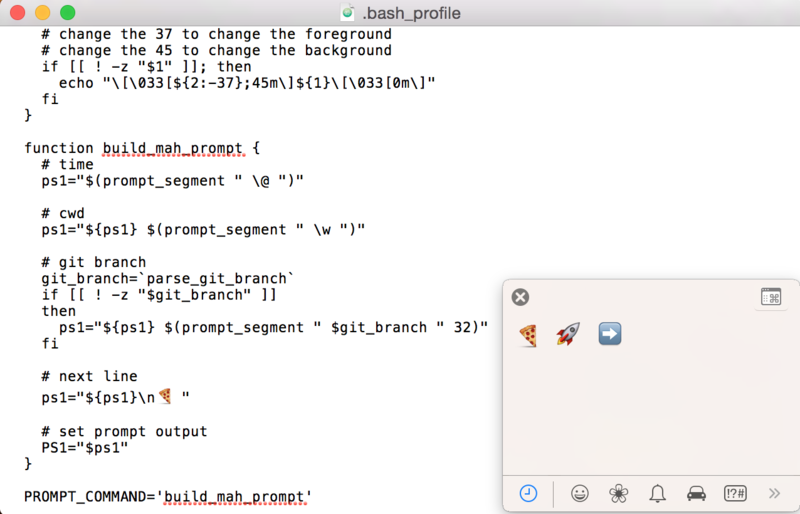 Your bash profile should now have your emoji in it! I highly recommend adding a space or two after the emoji, otherwise you may end typing inside the emoji.